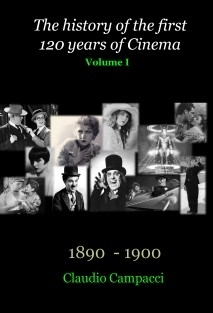 My purpose in writing this work, covering the first 120 years of film history, is to honor the many pioneers who developed the seventh art, which now entertains billions of people around the world. This encyclopedia covers the period from 1890 until 2010. Here are listed the main events, major films released with a short description, the births of actors, actresses, directors and persons connected to the movies with a short biography of each, and photos. From the third volume, the data sheet of the Oscar Award. Who is the lover of cinema, like me, a book collector and let a privileged space in your personal library. Each volume covers a decade. As the obituaries are posted only people born before 1889.